Some blue moments from the vastness of the Wikiloops cosmos, others may follow. Thanks to all Wikiloopers who are represented with their music on this album, you are all great! Blues - the music of the soul. Thanks for including me in this fabulous collection! Schöner Sampler hier, Uli - und danke daß Du mich auch drin hast! Some super blues from across Wikiloops......Great blues collection. Coole Sammlung- wiki blues power! 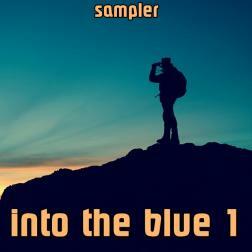 Very rich compilation that honors all the trends of blues. I am honored to see one of my contributions selected in this compilation. Many thanks to you Uloisius. Thanks for including me with all these great musicians. Nice album Uloisius. I like very much.